Shop our large quality selection of Retractable micro USB cables for your Android phone, tablet or other device from Retrak, Manhattan, Lenmar and more at mobileiGo.com - Retractable micro USB Cables are amazing. They empower you to neatly charge your Android phone, tablet or other device, etc. The beauty of these retractable cables is that there's no mess of tangled cables. You won't ever have to worry about untangling a micro USB Cable bird's nest again! Lol... Find all kinds of portable and travel car accessories and Retractable Car Chargers at mobileiGo.com - everything to fit your cool mobile high-tech lifestyle. Here are just a few available online today: portable USB Retractable Car Chargers, dual USB Retractable Car Chargers, micro USB Retractable Car Chargers, some with charge/sync cables, even retractable cables and much more. 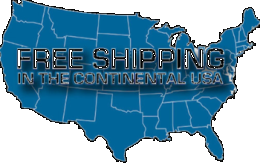 mobileiGo.com always gives you FREE shipping on all single cable orders and guaranteed fast and easy service with hassle free returns. Buy your new Retractable micro USB Cable here now with confidence.